We were only expecting a 2 bedroom condo, and this was a huge 4 bedroom place. The views were amazing and the condo itself was a great Mammoth condo, but . . . . The parking is convenience and the apartment size is reasonable for family. The location is ok but not walking distance to the slopes as stated. Very professional and enthusiastic reception in the remote reception Centre. Armed with keys and lots of information and a clear route to the property we we on our way in less than 10 minutes. The apartment was complete: all we needed for a few days was available; from full kitchen with all utensils to large fridge! Se trata una propiedad muy espaciosa, bien equipada y confortable. Sobre todo para compartir cálidos y buenos momentos en familia. está muy bien ubicada, y preparada para fríos extremos donde ello pasa desapercibido. Das Appartment ist super gewesen, es war quasi eher ein Reihenhaus. Eigener Eingang, 2 Etagen, 2 separate Schlafzimmer mit sehr bequemen Betten und separaten Badezimmern! eine große Küche, ein großer Esstisch, und ein netter Balkon. Auch die Ausstattung war hervorragend, wir haben nichts vermisst. Parkplatz nahezu direkt vor der Tür. Tolle Seen in wenigen Minuten mit dem Auto zu erreichen, da die Unterkünfte etwas oberhalb des Ortes liegen. Das offizielle Eincheckfenster beträgt nur eine Stunde und trotz langer Anreise hat es genau gepasst. Leider ist der Checkin einige Fahrminuten von der Unterkunft weg, aber eigentlich kein Problem. Lock in a great price for Mammoth Point by 101 Great Escapes – rated 8.1 by recent guests! One of our top picks in Mammoth Lakes.Located just a minutes’ drive from Mammoth Mountain Ski Area, this accommodations provides a hot tub. A balcony, free WiFi, free parking and a full kitchen is included in all apartments. A free airport shuttle is offered and it must be arranged prior to arrival. Laundry facilities is also provided. 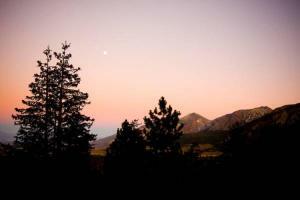 Seasonal BBQ facilities are also provided at Mammoth Point by 101 Great Escapes Mammoth Lakes. 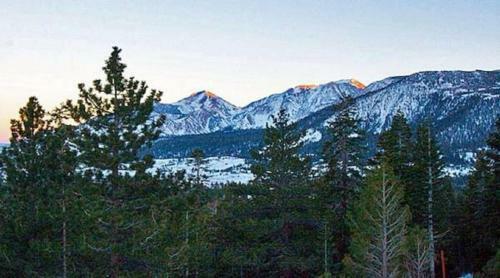 This is our guests' favorite part of Mammoth Lakes, according to independent reviews. 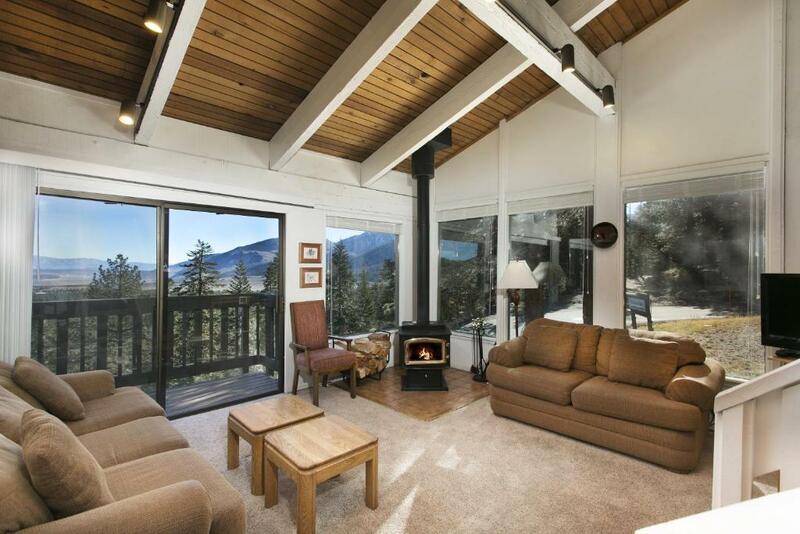 This property is also rated for the best value in Mammoth Lakes! Guests are getting more for their money when compared to other properties in this city. 뀐 Located in the top-rated area in Mammoth Lakes, this property has an excellent location score of 9.0! 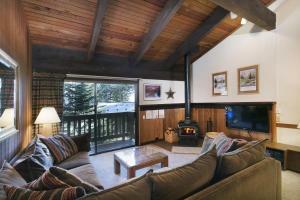 When would you like to stay at Mammoth Point by 101 Great Escapes? Featuring a private balcony with a mountain view, this two-bedroom apartment provides high ceilings and a wood-burning stove in the living room. 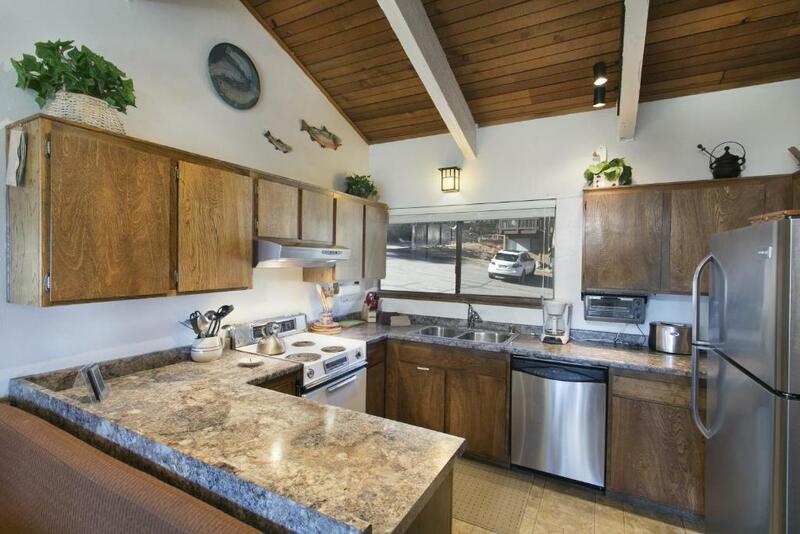 An open kitchen layout with granite counters is featured. Two private bathrooms, free WiFi and free parking is included. Featuring a private balcony with a mountain view, this four-bedroom apartment provides high ceilings and a wood-burning stove in the living room. 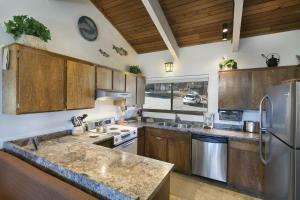 An open kitchen layout with granite counters is featured. 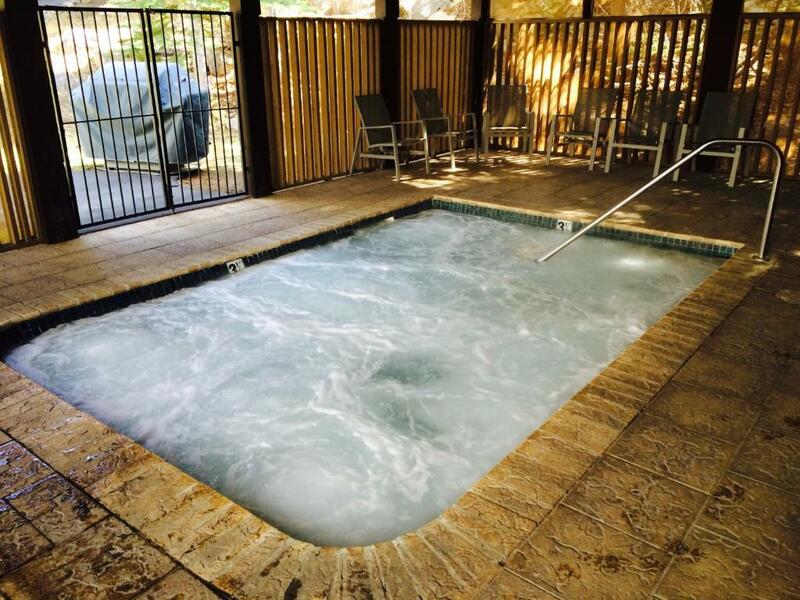 Three private bathrooms, free WiFi and free parking is included. House Rules Mammoth Point by 101 Great Escapes takes special requests – add in the next step! A USD700 damage deposit is required on arrival. This deposit will be fully refunded 0 days after check-out, as long as there isn't any damage to the property. Mammoth Point by 101 Great Escapes accepts these cards and reserves the right to temporarily hold an amount prior to arrival. If checking in after 17:00, please contact the property to arrange after hours check-in. Please note that check-in and key collection take place at: 437 Old Mammoth Road Suite K1 (next to Cinema), Mammoth Lakes 93546. Please inform Mammoth Point by 101 Great Escapes of your expected arrival time in advance. You can use the Special Requests box when booking, or contact the property directly using the contact details in your confirmation. A damage deposit of USD 700 is required on arrival. You should be reimbursed on check-out. We rented this cabin because it has 3 queen size beds. Turns out one of them is barely a twin and very uncomfortable looks like a sofa bed. Our friends had to find another proprietary the same night because they couldn’t sleep on it and needed a good night sleep to hit the slopes the next day. Don’t believe I got the unit I thought I booked. Wasn’t cleaned well. Doors to bedroom and bathroom wouldn’t close. Fan in one bathroom did not work. Lighting was poor. Central heating didn’t work downstairs. Bench broke underneath my daughter. Dishwasher didn’t drain properly. Beds were uncomfortable. Toilet seats had chips and cracks. For $4000 for 3 nights very disappointing. Wish there was a screen door on the back sliding door to cool the condo down at night. It’s location is ideal if you’re sightseeing. The bed sheets were not clean. They had stains. I found two different type of insects inside our kids room. The entertainment, furniture, and mattresses need to be upgraded. There was also no drinking water. Other than that it was good. The view and location was good. But the microwave was not functioning. No instructions on how to use the wood-burning fireplace, and it looked too clean, so we didn't try. And the number one complaint --- the electric heaters for each room were not functioning well. Upstairs worked okay, and I was comfortable upstairs. But the room I used downstairs had zero heat, non-functioning heater. Overall - it did not "ruin" the awesome experience, but it easily could have (the poor heating situation that is). The apartment is very old and dirty. Only down side is that the outdoor jacuzzi is completely fenced in and does therefore not have any added value to a standard jacuzzi and given it is not next to the apartment we did not use it. With the beautiful scenery this is a missed opportunity. Broken railing at entrance to unit, dangerous, agent did not repair. My wife and friends wife almost fell twice. Called repetitively, repair not made. Nothing was less than perfect. Loved the location and the fantastic scenery!